IV (intravenous) vitamin C therapy has already been clinically proven to markedly improve quality of life for cancer patients, but a new landmark study has shown for the first time it can reduce inflammation and tumour markers in prostate cancer and breast cancer patients. The science behind IV vitamin C as a cancer therapy is now advancing faster than ever before with six clinical trials currently underway worldwide, including colorectal, prostate, pancreatic and other cancers. Recent research has shown that greater inflammation in cancer patients is associated with poor prognosis. This may be because key features of the inflammatory environment (infiltrating leucocytes, pro-inflammatory cytokine build-up, tissue remodelling and angiogenesis) may actually facilitate cancer development. With this in mind, one of the leading alternative medicine clinics in the USA designed a trial to test the ability of IV vitamin C to reduce key inflammation markers as well as tumour markers in patients with prostate, breast and other cancers. This trial included 45 patients aged 47-85 years, with an average age of 68. The treatments included vitamin C infusions of 25 to 50 grams, up to three times per week. The median follow-up on patients was 7.2 years (maximum of 18 years). 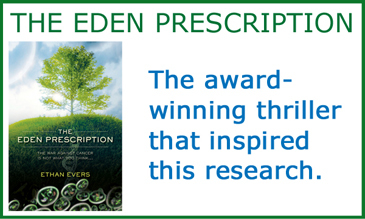 It should be noted that most patients had already been treated by standard therapies. The total number of vitamin C infusions given to any one patient ranged from 1 up to 102. 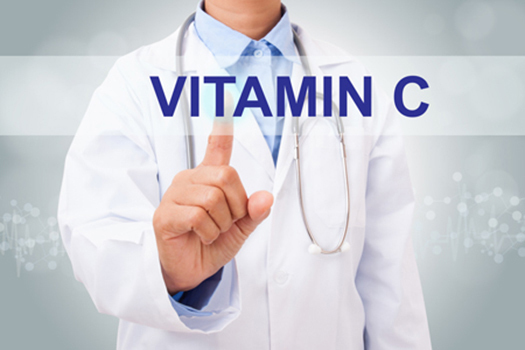 IV vitamin C therapy was successful in reducing C Reactive Protein (CRP) levels in 76% of all patients in the trial. This is significant, as CRP is a well-established marker for inflammation. By the end of the trial, the average patient saw a drop in CRP levels of 80% (for patients who started the trials with above-normal CRP levels). In addition, for a more detailed picture, serum levels of pro-inflammatory cytokines were measured for 11 patients. Of these 11 patients, 100% saw large reductions in these cytokines after their treatments. Some important trends emerged from the trial. Firstly, patients who had more IV vitamin C treatments tended to have a better response. Second, patients who began the therapy at an earlier stage of their disease had better response compared to those with more aggressive, metastatic cancer. Finally, and perhaps most importantly, patients who saw reductions in inflammation markers usually also saw reductions in tumour markers—especially for breast and prostate cancer. Most impressive with this trial was that PSA levels decreased in 77% of prostate cancer patients while 73% of breast cancer patients saw decreases in CA27.29/CA15.3 (cancer antigen) and/or CEA (carcinoembryonic antigen) after their treatments. This trial gives powerful new evidence of the benefits of IV vitamin C therapy for cancer—a therapy which has few side effects, a well-established safety profile and which is far cheaper than conventional treatments. For more information, the last reference below links to the clinic where this trial was carried out.